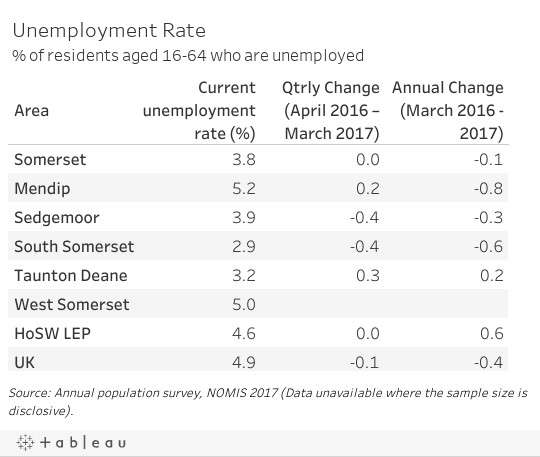 ILO unemployment in Somerset stood at 3.8% in March 2017, lower than the Heart of the South West LEP area (4.6%) and the UK as a whole (4.9%). 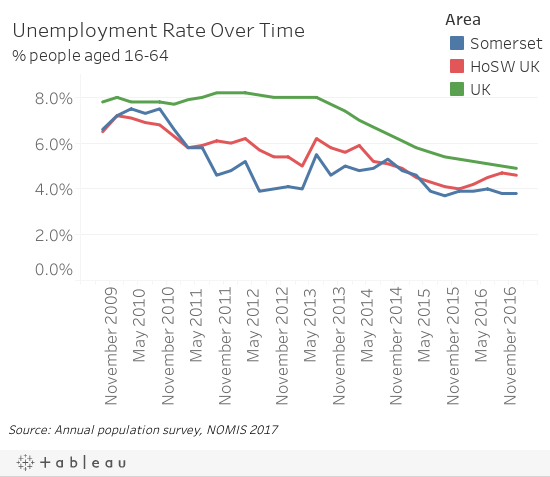 Somerset’s unemployment rate has fallen over the last year (0.1%). Available data shows Mendip has the highest unemployment rate of all the districts (5.2%). Somerset’s economic inactivity rate is lower than nationally. Sedgemoor has the highest proportion of economically inactive residents (22.6%). 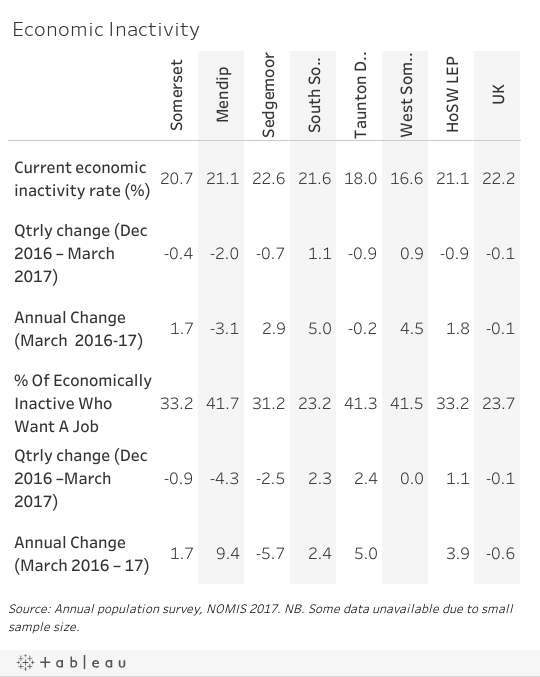 West Somerset has the lowest economic inactivity rate (16.6%). Mendip has the highest proportion of economically inactive persons who want a job (41.7%) closely followed by West Somerset (41.5%) and Taunton Deane (41.3%). 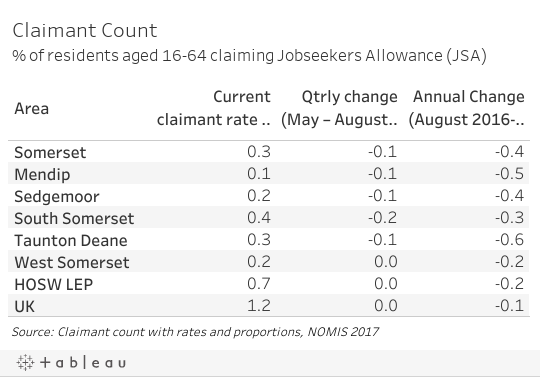 South Somerset has the lowest rate of economically inactive who want a job (23.2%).